"Mama needed you. I hope you are happier up there with her. Make sure you don’t forget about us. Keep us in your conversations." 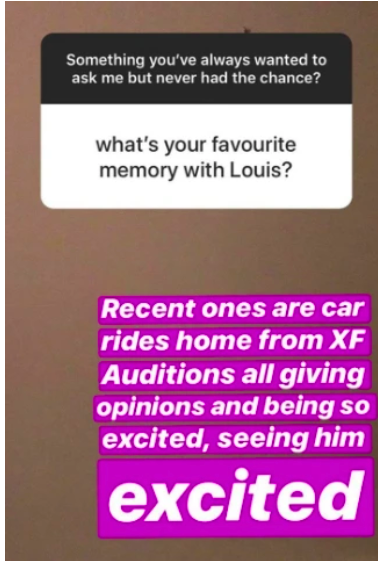 Félicité Tomlinson, the younger sister of One Direction's Louis, died last week at age 18. Scotland Yard confirmed that emergency services were called to the London flat of the fashion designer and social media influencer, following reports of a woman having a cardiac arrest. She died at the scene. The news of her death came just three years after their mother, Johannah Deakin, died of leukaemia at 43. Johannah left behind six other children in addition to Louis — Lottie, Félicité, and two sets of twins — Daisy and Phoebe, plus Ernest and Doris — the youngest of whom were just two when she died. Louis's father, Troy Austin, was diagnosed with liver cancer 18 months after her death. 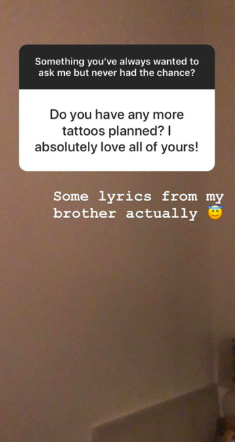 All seven siblings had always been extremely close, with Félicité's final Instagram posts detailing just how proud she was of her siblings. And while Louis is yet to speak publicly about Félicité's death, his two younger twin sisters, Daisy and Phoebe, 14, have now shared moving tributes to her on Instagram. Daisy was the first to post, sharing this lovely family photo alongside a heart-wrenching caption. "This is the fourth time I've tried to write this," she began. "No words will come close to explaining how broken I am, once again. My precious sibling. My heart is bleeding. I keep imagining and praying they have the wrong person. Not my sister, my best friend." Daisy went on to tell the story of how, only a few weeks ago, they'd stayed up 'til the early hours "chatting about the future," adding that she viewed her sister as her "protector" in life. Daisy wrote: "It was only a few weeks ago that we were sat on the sofa bed at 3 a.m. drinking tea, eating French fries and chatting about the future. You told me all about your plans. We were excited. I pushed you away when you tried cuddling me, I thought I would have so many more chances to do that. I would cuddle you a million times over if you were still here, with me. Protecting me from this cruel world." She went on to say she felt "frightened" and "alone" without her sister, but was finding comfort in the idea of Félicité and her mother being reunited. She wrote: "I'm frightened without you. You've left me feeling alone. Mama needed you. I hope you are happier up there with her. Make sure you don't forget about us. Keep us in your conversations. I have two angels now, watching over me. I can’t wait to make you both so proud of me." Phoebe then shared her tribute, posting this childhood photo of Félicité with a caption describing her sister as her "best friend, motivator and person that could make [her] laugh until [she] cried." She wrote: "Words don’t even begin to describe how shocked and broken hearted we all are. You were my best friend, sister, motivator and person that could make me laugh until I cried. I’m lost without you and the thought of never seeing you again scares me like you wouldn’t believe." "Please tell me you're watching over us," she continued. "And that you will always remember the way we all laughed together. Our memories will stay with me forever." Phoebe concluded by saying that "Mummy needed you and you desperately needed her." She continued: "I’m so glad your together now and she has you to rub her feet in heaven like you used to. I pray that you’re in a better place now. We love you like you wouldn’t believe. Fly high my beautiful sister." Of course, people flooded the comments of both Instagram posts with further messages of condolences, love, and support. Here's Daisy's caption in full. this is the fourth time I’ve tried to write this. No words will come close to explaining how broken I am, once again. My precious sister. My heart is bleeding. I keep imagining and praying they have the wrong person. Not my sister, my best friend. i have two angels now, watching over me. i can’t wait to make you both so proud of me.